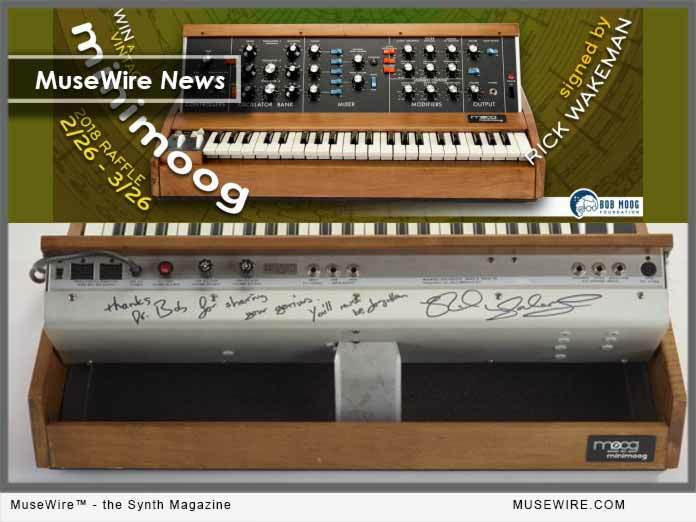 The non-profit Bob Moog Foundation today announced launch of new raffle for 2018, of a vintage Minimoog Model D synthesizer keyboard, signed by Rick Wakeman, the legendary progressive rock keyboardist whose 50-year career has inspired people worldwide. The raffle supports the music education efforts of the Foundation. 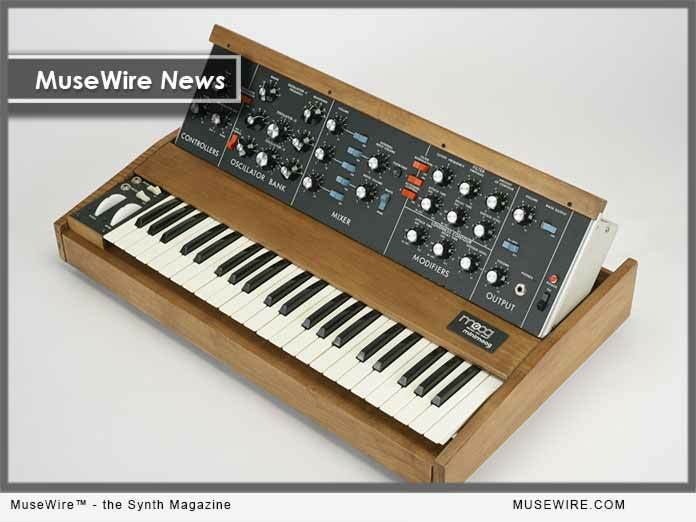 The Minimoog Model D being offered, serial number 6360, was built at Moog Music’s Williamsville, NY factory on December 9, 1974, and is valued in excess of $6,000. The synthesizer is in excellent technical and physical condition and has been serviced by acclaimed New York City-based restoration perfectionists Tone Tweakers. Please be sure to read the rules and regulations before entering the raffle. The raffle, which is open internationally, begins at 12:01 a.m. on Monday, February 26, 2018 and closes at 11:59 p.m. on Monday, March 26, 2018 — or when all 4,500 tickets are sold, whichever comes first. Bob Moog’s innovations in music synthesis revolutionized almost every genre of music. The Bob Moog Foundation, a small 501(c)(3) non-profit organization, carries his pioneering legacy forward to future generations. Our mission, to ignite creativity at the intersection of music, science, history and innovation, is accomplished through three programs. Rick Wakeman likely needs no introduction to any Moog fan, but just in case you are not familiar, he began his musical career as a session musician, including performing on several tracks for David Bowie. He soon rose to prominence during his 1969-1971 tenure with the folk rock group Strawbs. He is best known as the virtuoso keyboardist for the progressive rock band YES over five tenures between 1971-2004, with whom he recorded eight studio albums including Fragile, Close the Edge, Tales from Topographic Oceans, Going for the One, Tormato, and Union. This version of news first appeared on MuseWire.com – © 2018 by Christopher Simmons.